There you have it. Google’s AI machine RankBrain, after only a few months on the job, already outranks the best brains in the industry, the elite engineers that Google typically hires. Or maybe not. Is RankBrain really “smarter than your average engineer” and already “living up to its AI hype,” as the Bloomberg article informs us, or is this all just, well, hype? Desperate to find out how far our future machine overlords are already ahead of the best and the brightest (certainly not “average”), I asked Google to shed more light on the test, e.g., how do they determine the “success rate”? I guess both RankBrain and Google search engineers were given possible search results to a given query and RankBrain outperformed humans in guessing which are the “better” results, according to some undisclosed criteria. I don’t know about you, but my TinyBrain is still confused. Wouldn’t Google search engine, with or without RankBrain, outperform any human being, including the smartest people on earth, in terms of “guessing” which search results “would be favored by users”? Haven’t they been mining the entire corpus of human knowledge for more than fifteen years and, by definition, have produced a search engine that “understands” relevance more than any individual human being? The key to the competition, I guess, is that the “search queries” used in it were not just any search queries but complex queries containing words that have different meaning in different context. It’s the kind of queries that will stump most human beings and it’s quite surprising that Google engineers scored 70% on search queries that presumably require deep domain knowledge in all human endeavors, in addition to search expertise. Sullivan points out that a lot of work done by humans is behind Google’s outstanding search results (e.g., creating a synonym list or a database with connections between “entities”—places, people, ideas, objects, etc.). But Google needs now to respond to some 450 million new queries per day, queries that have never been entered before into its search engine. Finding out the “unknown unknowns,” discovering previously unknown (to humans) links between words and concepts is the marriage of search technology with the hottest trend in big data analysis—deep learning. The real news about RankBrain is that it is the first time Google applied deep learning, the latest incarnation of “neural networks” and a specific type of machine learning, to its most prized asset—its search engine. The big surprise is that Google still uses the manually-crafted formula for its search results. They haven’t cut over to the machine learned model yet. Peter suggests two reasons for this. The first is hubris: the human experts who created the algorithm believe they can do better than a machine-learned model. The second reason is more interesting. Google’s search team worries that machine-learned models may be susceptible to catastrophic errors on searches that look very different from the training data. They believe the manually crafted model is less susceptible to such catastrophic errors on unforeseen query types. Picking the right journal is one of the most important decisions when you start to work on a paper. You probably have a gut feeling of the journals that are best suited for your paper in progress. 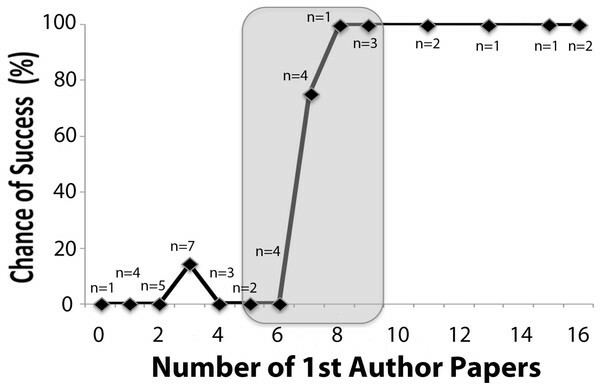 To make this decision more objective, you can rely on the Impact Factor of a journal. The Impact Factor is roughly the average number of citations per paper in a given journal and is published by Thomson Scientic. 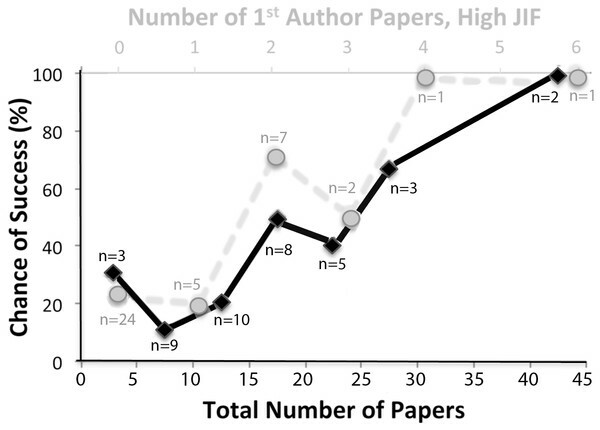 Higher Impact Factors mean more prestigous journals. This information is also frequently used for job or grant applications. Given the importance of Impact Factors for many aspects of scientific publishing, it would be preferable if there were alternatives. And Impact Factors are not freely available, but must be purchased from Thomson Scientific. Impact factors have several shortcomings. Because they are a convenient way to judge the scientific output of a person, organization, journal or country, they are often overused. They should for example not be used to compare journals in different fields, e.g. cell biology and particle physics. Measures like the Hirsch Number might be a better tool to measure the scientific output of an individual scientist. And sometimes the judgement of your peers in the field is more important than simple numbers. The SCImago Journal Rank indicator tries to overcome these two shortcomings. The index was created by the SCImage Research Group, located at several Spanish universities. The index uses information from the Scopus abstract and citation database of research literature owned by Elsevier. In contrast to the Impact Factor, the SJR indicator measures not simply the number of citations per paper. Citations from a journal with a higher SJRindicator lead to a higher SJR indicator for the cited journal (more details here). This approach is similar to PageRank (described in this paper), the algorithm for web searches by Sergey Brin and Lawrence Page that made Google what it is today. Eigenfactor is another scientific ranking tool that uses a PageRank algorithm. 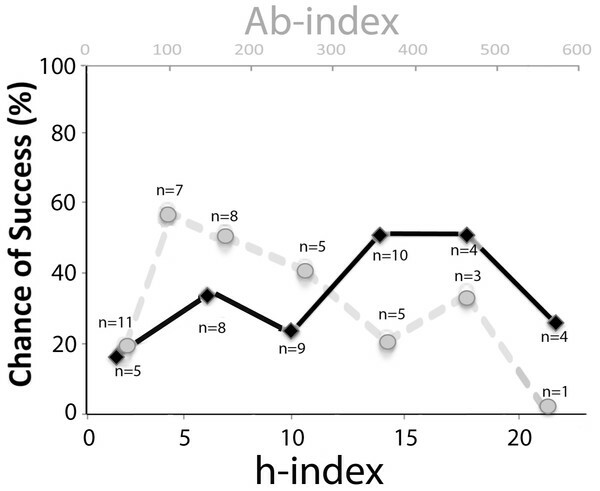 Most of the time, journals with high Impact Factors have high SJR indicators. 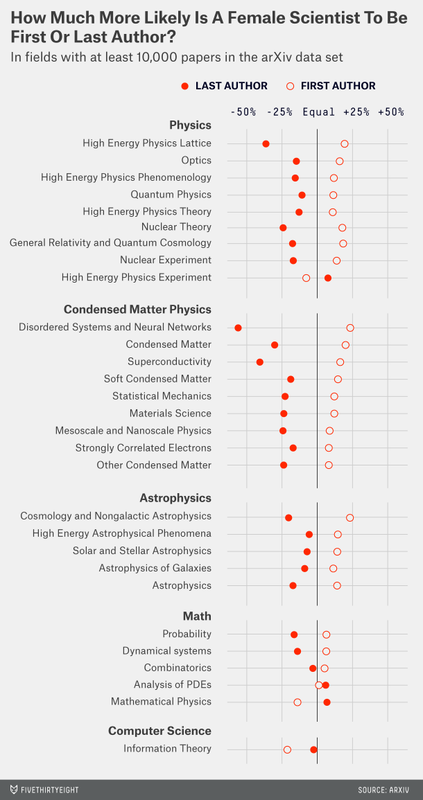 Nature and Science are still head to head. We will find unexpected results and discrepancies between the two over time. In my field of oncology, both the Journal of the NCI and Cancer Research are ranked higher than the Journal of Clinical Oncology. You can read more about the SJR indicator in this Nature News article. In May 2012 I started to work as technical lead for the PLOS Article-Level Metrics project. Although this is contract work, and I also do other things – including spending 5% of my time as clinical researcher at Hannover Medical School – this created the awkward situation that I was never quite sure whether I was blogging as Martin Fenner or as someone working for PLOS. This was all in my head, as I never had any restrictions in my blogging from PLOS. With the recent launch of the PLOS Tech Blog there is now a good venue for the kind of topics I like to write about, and I have started to work on two posts for this new blog. There will always be topics for which the PLOS Tech Blog is not a good fit, and for these posts I have launched the new personal blog at Github. But the main reason for this new blog is a technical one: I’m moving away from blogging on WordPress to writing my posts in markdown (a lightweight markup language), that are then transformed into static HTML pages using Jekyll and Pandoc. Last weekend I co-organized the workshop Scholarly Markdown together with Stian Haklev. A full workshop report will follow in another post, but the discussions before, at and after the workshop convinced me that Scholarly Markdown has a bright future and that it is time to move more of my writing to markdown. At the end of the workshop each participant suggested a todo item that he/she would be working on, and my todo item was “Think about document type where MD shines”. Markdown might be good for writing scientific papers, but I think it really shines in shorter scientific documents that can easily be shared with others. And blog posts are a perfect fit. Earlier this week re3data.org – the Registry of Research Data Repositories –officially launched. The registry is nicely described in a preprint also published this week. re3data.org offers researchers, funding organizations, libraries and publishers and overview of the heterogeneous research data repository landscape. Information icons help researchers to identify an adequate repository for the storage and reuse of their data. The Shape of Science is a new graphical interface designed to access the bibliometric indicators database of the SCImago Journal & Country Rank portal (based on 2012 data). This platform takes its name from the SCImago Journal Rank (SJR) indicator, developed by SCImago from the widely known algorithmGoogle PageRank™. This indicator shows the visibility of the journals contained in the Scopus® database from 1996. As well as SJR Portal, SCImago has developed The Atlas of Science project, which proposes the creation of an information system whose major aim is to achieve a graphic representation of Ibero American Science Research. Such representation is conceived as a collection of interactive maps, allowing navigation functions throughout the semantic spaces formed by the maps. To engineer a search engine is a challenging task. Search engines index tens to hundreds of millions of web pages involving a comparable number of distinct terms. They answer tens of millions of queries every day. Despite the importance of large-scale search engines on the web, very little academic research has been done on them. Furthermore, due to rapid advance in technology and web proliferation, creating a web search engine today is very different from three years ago. This paper provides an in-depth description of our large-scale web search engine — the first such detailed public description we know of to date. Apart from the problems of scaling traditional search techniques to data of this magnitude, there are new technical challenges involved with using the additional information present in hypertext to produce better search results. This paper addresses this question of how to build a practical large-scale system which can exploit the additional information present in hypertext. Also we look at the problem of how to effectively deal with uncontrolled hypertext collections where anyone can publish anything they want. The web creates new challenges for information retrieval. The amount of information on the web is growing rapidly, as well as the number of new users inexperienced in the art of web research. People are likely to surf the web using its link graph, often starting with high quality human maintained indices such as Yahoo! or with search engines. Human maintained lists cover popular topics effectively but are subjective, expensive to build and maintain, slow to improve, and cannot cover all esoteric topics. Automated search engines that rely on keyword matching usually return too many low quality matches. To make matters worse, some advertisers attempt to gain people’s attention by taking measures meant to mislead automated search engines. We have built a large-scale search engine which addresses many of the problems of existing systems. It makes especially heavy use of the additional structure present in hypertext to provide much higher quality search results. We chose our system name, Google, because it is a common spelling of googol, or 10100 and fits well with our goal of building very large-scale search engines. PageRank can be thought of as a model of user behavior. We assume there is a “random surfer” who is given a web page at random and keeps clicking on links, never hitting “back” but eventually gets bored and starts on another random page. The probability that the random surfer visits a page is its PageRank. And, the d damping factor is the probability at each page the “random surfer” will get bored and request another random page. One important variation is to only add the damping factor d to a single page, or a group of pages. This allows for personalization and can make it nearly impossible to deliberately mislead the system in order to get a higher ranking. We have several other extensions to PageRank, again see [Page 98]. Once we’ve identified the gender gaps, the next step is to explain them. How much of women’s underrepresentation is due to bias and how much toother factors? 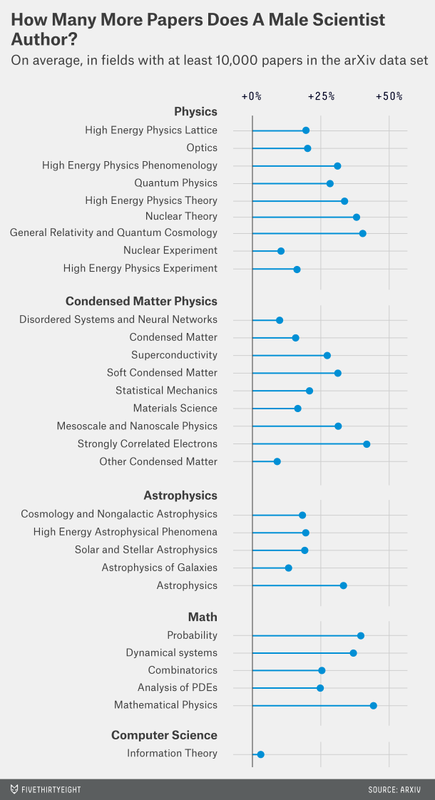 While it’s clear that gender bias in science exists, it’s hard to prove merely by examining publication data (though some convincing cases have been made). Other studies have shown that female scientists spend more time on non-research activities, like child­-rearing and teaching, tend to work at institutions that emphasize teaching over research and are more likely to leave the workforce for family reasons. 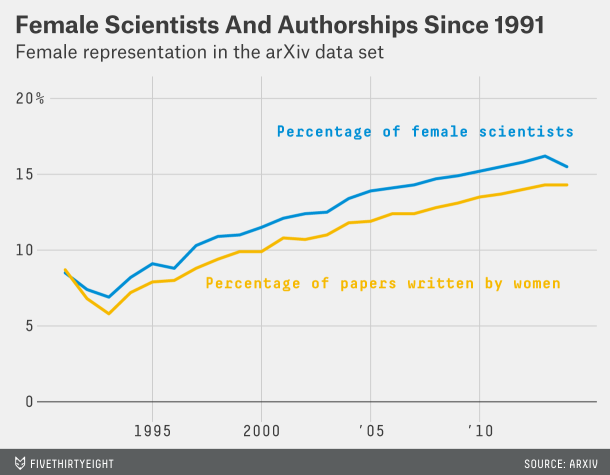 Social dynamics with male scientists may also affect female scientists detrimentally. Women also tend to cite themselves less, self­-promote less, negotiate less and see smaller performance gains from competition. Wendy Cieslak, the former principal program director for nuclear weapons science and technology at Sandia National Laboratories, emphasized the importance of the confidence gap. “We often don’t recognize and accept that [it] is holding us back until much later in life, when we look back,” she said. November 22, 2013 | Relationships between human genetic variation and drug responses are being documented at an accelerating rate, and have become some of the most promising avenues of research for understanding the molecular pathways of diseases and pharmaceuticals alike. Drug-gene interactions are a cornerstone of personalized medicine, and learning about the drugs that mediate gene expression can point the way toward new therapeutics with more targeted effects, or novel disease targets for existing drugs. So it may seem surprising that, until October of this year, a researcher interested in pharmacogenetics generally needed the help of a dedicated bioinformatician just to access the known background on a gene’s drug associations. The Griffiths – identical twin brothers, though Malachi helpfully sports a beard – had by this time joined each other at one of the world’s premiere genomic research centers, the Genome Institute at Washington University in St. Louis, and figured they had the resources to improve this state of affairs. The Genome Institute is generously funded by the NIH and was a major contributor to the Human Genome Project; the Griffiths had congregated there deliberately after completing post-doctoral fellowships at the Lawrence Berkeley National Laboratory in California (Obi) and the Michael Smith Genome Sciences Centre in Vancouver (Malachi). “When we finished our PhDs, we knew we would like to set up a lab together,” says Obi. At the Genome Institute, they pitched the idea of building a free, searchable online database of drug-gene associations, and soon the Drug Gene Interaction Database (DGIdb) was under development. The website’s main innovation, however, is its user interface, which presents itself like Google but returns results a little more like a good medical records system. The homepage lets you enter a gene or panel of genes into a search box, and if desired, add a few basic filters. Entering search terms brings up a chart that quickly summarizes any known drug interactions, which can then be further filtered or tracked back to the original sources. The emphasis is not on a detailed breakdown of publications or molecular behavior, but on immediately viewing which drugs affect a given gene’s expression and how. “We did try to place quite a bit of emphasis on creating something that was intuitive and easy to use,” says Malachi. Beta testing involved watching unfamiliar users navigate the website and taking notes on how they interacted with the platform. DGIdb went live in February of this year, followed by a publication in Nature Methods this October, and the database is now readily accessible at http://dgidb.org/. The code is open source and can be modified for any specific use case, using the Perl, Ruby, Shell, or Python programming languages, and the Genome Institute has also made available their internal API for users who want to run documents through the database automatically, or perform more sophisticated search functions. User response will be key to sustaining and expanding the project, and the Griffiths are looking forward to an update that draws on outside researchers’ knowledge. “A lot of this information [on drug-gene interactions] really resides in the minds of experts,” says Malachi, “and isn’t in a form that we can easily aggregate it from… We’re really motivated to have a crowdsourcing element, so that we can start to harness all of that information.” In the meantime, the bright orange “Feedback” button on every page of the site is being bombarded with requests to add specific interactions to the database. Not all these interactions are easy to validate. “Another area that we’re really actively trying to pursue,” adds Malachi, “is getting information out of sources where text mining is required, where information is really not in a form where the interaction between genes and drugs is laid out quickly.” He cites the example of clinicaltrials.gov, where the results of all registered clinical trials in the United States are made available online. This surely includes untapped material on drug-gene interactions, but nowhere are those results neatly summarized. “You either have a huge manual curation problem on your hands – there’s literally hundreds of thousands of clinical trial records – or you have to come up with some kind of machine learning, text-mining approach.” So far, the Genome Institute has been limited to manual curation for this kind of scenario, but with a resource as large as the clinical trials registry, the Griffiths hope to bring their programming savvy to bear on a more efficient attack. In the meantime, new resources are continuously being brought into the database, rising from eleven data sources on launch to sixteen now, with more in the curation pipeline. DGIdb is already regularly incorporated in the Genome Institute’s research. Every cancer patient sequenced at Washington University has her genetic data run first through an analytics pipeline to find genes with unusual variants or levels of expression, and then through DGIdb to see whether any of these genes are known to be druggable. This is an ideal use case for the database, which is presently biased toward cancer-related interactions, the Griffiths’ own area of research. Every day, new strides in technology make headlines in all kinds of areas. Nowhere is it is more prevalent or exciting than in the medical field. And one of the most talked about new tech “gadgets” to come onto the scene and into the consciousness of just about everyone who follows the news is Google Glass. The last few months have seen story after story about Goggle Glass being used by physicians. But as far back as a year ago, when Pelu Tran, a third-year medical student at Stanford, and Ian Shakil, a consultant at a West Coast start-up, saw and tried out Google Glass, they realized that the implications in medicine alone would be compelling. So much so that they founded a startup exclusively to investigate the use of Glass for medicine. Basically, Google Glass is a small hands-free computer, head-mounted as a small glass block, on a conventional glass frame, that can have Wi-Fi, Bluetooth and a camera and voice activation. Proponents see the potential for the device’s use over a wide range of medical applications, from cutting down the time a physician has to do paperwork — thus giving the physician more time to focus on the patient’s problem — to assisting in surgery. Dr. Pierre Theodore, M.D., was the first surgeon to receive permission to utilize Google Glass as an auxiliary surgical tool, while performing thoracic surgery in October. He was able to preload his patient’s information, like CT scans and X-rays, so that access to it would be right there on the “screen,” and he would not have to turn away during the surgery. Using Google Glass to consult with a distant colleague, Dr. Christopher Kaeding, a surgeon at the Ohio State University Medical Center, streamed a live, point-of-view video while he operated to repair a torn ACL in August. At the same time across town, medical students at OSU College of Medicine were able to view the surgery real-time. In early 2012, a surgical team at the University of Alabama at Birmingham (UAB) performed the first surgery using a technology called VIPAAR partnered with Google Glass. VIPAAR, which stands for virtual interactive presence in augmented reality, is a technology developed by UAB in 2003, which provides real-time, two-way interactive video conferencing to enhance surgery. In this surgery, UAB orthopedic surgeon Brent Ponce, M.D., performed shoulder replacement surgery using Google Glass during the operation. At the same time, Dr. P. Danturuli, a surgeon sitting in his Atlanta office, was interacting with Ponce. 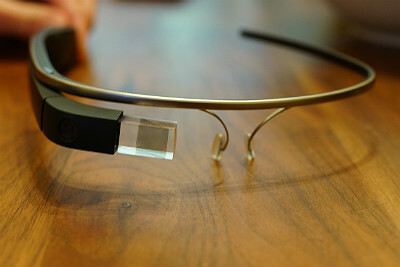 The built-in camera in Google Glass transmitted the image of the surgical field to Atlanta. VIPAAR allowed Danturuli to introduce his hands into the virtual operating room. At the same time, Ponce saw Danturuli’s hands as a ghostly image in his heads-up display. “It’s real-time, real life, right there, as opposed to a Skype or video conference call which allows for dialogue back and forth, but is not really interactive,” Ponce said. This technology can revolutionize telemedicine. What used to be a telephone call between two physicians, now has the potential for a small regional hospital to get hands and instruments into the field of a surgeon who has the skill but has perhaps performed the surgery only a few times. Obviously, adjustments will need to be made to fine tune VIPAAR and Google Glass. And, of course, the potential goes beyond medicine. Imagine having the potential to connect to an expert in any field and have that expert be able to reach in to show you how to solve a problem. Right now, Google Glass is in the hands of only about 10,000 people, (1,000 only in medical fields) using and experimenting with the technology. The thinking is that in less than five years, this kind of innovation has the potential to improve many fields and afford greater teaching opportunities through better high-tech access to information. Rosemary Sparacio is a freelance medical and technical writer, and she substitute teaches in her current home in South Carolina. Rosemary has always been involved in healthcare and education, starting out in the lab as a med tech and in R&D. Her career lead her to teaching microbiology at a community college, while working in the pharmaceutical industry for Pfizer. The Sophie Pharma & Biotech App is a powerful personal business and technology intelligence tool to increase your productivity. Sophie will work on your Ipad, Iphone, Android tablet or smartphone.